The Earth’s poles create a magnetic field surrounding the planet. Magnets have their own poles that point toward the Earth’s poles. 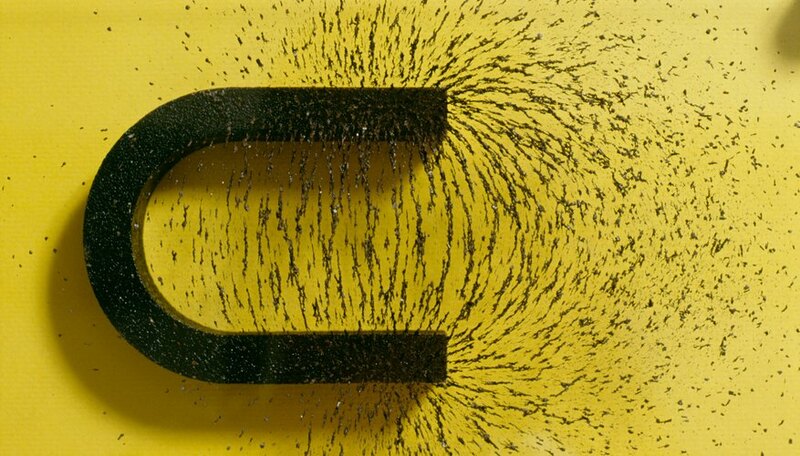 Using the Earth’s magnetic field, you can determine the positive and negative sides of a magnet. Determining the polarity of a magnet can teach you about the concept and demonstrate the Earth’s magnetic field. Tie a piece of string tightly around the center of a bar magnet. Leave 12 inches of excess string, so you can dangle the magnet. 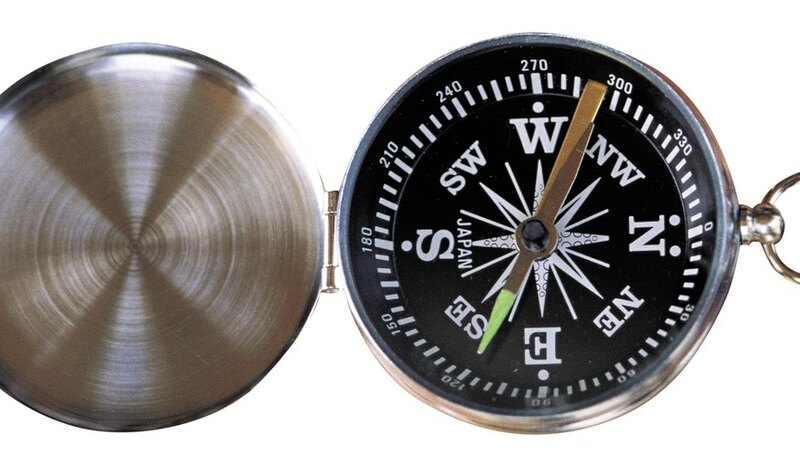 Determine the direction of the Earth’s North Pole using the compass. Hold the string at arm's length straight out from your body allowing the magnet to dangle freely. Keep the magnet parallel to the floor. When the magnet stops spinning, label the poles using the masking tape and pen. The end of the magnet pointing north is the negative side of the magnet. The end of the magnet pointing south is the positive side of the magnet. If you have trouble tying the string around the magnet, secure the string to the magnet using a tightly fitting rubber band. Every magnet has a north and south pole. If you break a magnet in two, both pieces will have north and south poles, no matter how small the magnets are. The Earth's magnetic field has switched several times during its history. 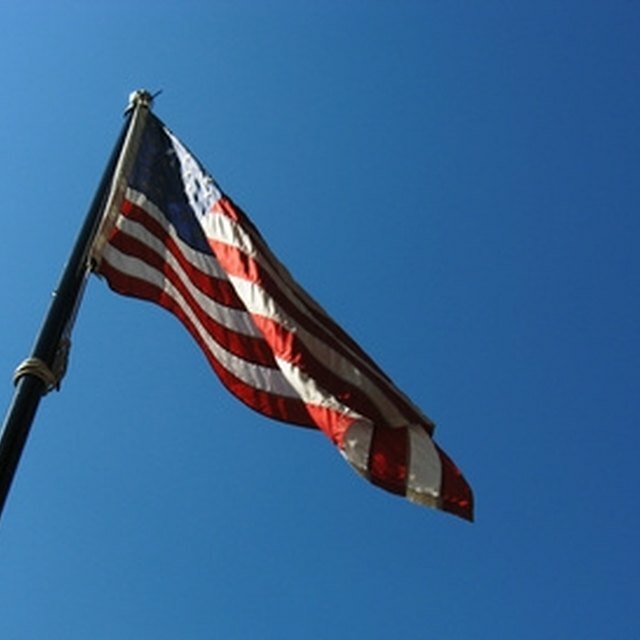 Gravity is not affected by the Earth's magnetic field. Some bar magnets have one end painted red. This is the magnet's north pole. CoolMagnetMan.com: What is Near the Geographic North Pole, a Magnetic North or a Magnetic South? Kjmagnetics.com: Which Pole Is North? L., Mark. "How to Determine the Positive & Negative Sides of a Magnet." Sciencing, https://sciencing.com/determine-positive-negative-sides-magnet-12188673.html. 24 April 2017.